Thanks for all your inspiring comments. The giveaway is now closed and the winners (picked at random) are: Olivia Henwood, Katy Mar and Tom McMurtry. I hate to send you into a panic, but you might as well know—there are less than 100 days until Christmas. I know, crazy huh? But don’t stop reading in shock. I have something that’ll ease the pain of that announcement. It’s a great present idea that’ll suit just about everyone you know. 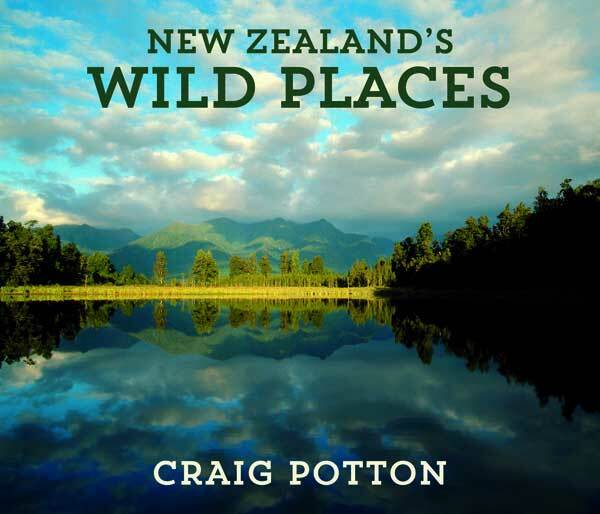 New Zealand’s Wild Places is Craig Potton’s new book. You’ve heard of Craig Potton, right? There can’t be too many homes around the country that haven’t had a wall, coffee table, or desk embellished with the work of this well known landscape photographer at some point in time. Anyway, New Zealand’s Wild Places is Craig’s latest, just released, piece of eye candy; and the wonderful folk at Craig Potton Publishing have given us three copies to give away to you, our lucky and loyal readers. They’ve been sitting on my desk for a day or two now and, as I thumb (ever so carefully and well away from my coffee cup! ), through the pages—covering rivers and lakes, the coast, and forests and mountains—I can’t help but feel a fresh sense of awe at our country’s remarkable landscape (and at Craig Potton’s talent in capturing it in such an honest way). It is my hope that New Zealand’s Wild Places can serve as a reminder of, and an inspiration for your own encounters with the wild places of our country. Now, who wouldn’t want to give their family and friends that for Christmas (or at any other time of the year for that matter)? To be in to win leave a comment on this post before 12 noon on Monday 23 September, telling us about your favourite New Zealand Wild Place. The giveaway is open to Conservation Blog subscribers; however, we can only ship to New Zealand addresses. New Zealand’s Wild Places is valued at $39.99 and is available to purchase from bookstores nationwide and online from www.craigpotton.co.nz. It’s free and easy to subscribe to the Conservation Blog, simply enter your email address in the right hand side of this web page where it says “email notifications”. If you already receive our blog posts via email then you’re already subscribed! The giveaway is now closed. The lucky winner is Keri Hulme. Thanks for your comments everyone. We’re celebrating New Zealand’s unique and diverse trees and forests today by giving away a copy of the brand new book New Zealand’s Native Trees, by John Dawson and Rob Lucas. The native flora of New Zealand really is unique – 80% of our trees, ferns and flowering plants are found nowhere else on Earth. 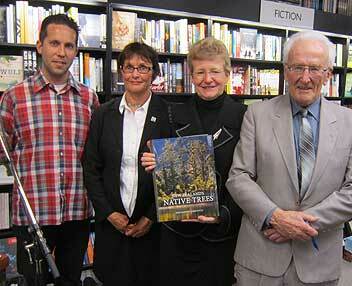 New Zealand’s Native Trees, launched in Conservation Week by the Hon. Kate Wilkinson, is a celebration of this. With 576 pages, and more than 2300 photographs, it’s bound to become a loved and well used resource in your home. I’m already a little jealous of whoever wins a copy! To be in to win, leave a comment on this post before 12 noon, Monday 10 October 2011, telling us why you want the book. A winner will be selected at random and contacted by email. The giveaway is open to all New Zealand residents, except employees of the Department of Conservation and their immediate family. New Zealand’s Native Trees is valued at $120 and is available to purchase from bookstores nationwide and online from www.craigpotton.co.nz.